Are you in your twenties? Do you live in Adel? 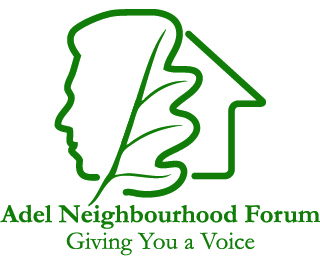 If so the Adel Neighbourhood Forum needs you! We need to know your views to compete our age profile and feedback from residents on what you value, what you would like to change, what facilities and services are missing and your needs now and in the future. Our questionnaire can be completed in 5 minutes and your views will form part of our Neighbourhood Plan. The Forum’s role is to give residents and those with an interest in the area a voice on land planning and related issues. For example do you consider there is enough services for your age group and/or would you like to walk or cycle more in a safer environment? What do you think your housing needs would be in the future? If you are a parent, relative or friend of a twenty something please encourage them to help us in this important task. visit our website www.adelneighbourhoodforum.co.uk or join our Facebook. From now until mid-July we intend to bring our draft plans to local community events around Adel and seek the thoughts and views of the community. Look out for the Neighbourhood Forum’s stand at these events. Our VISION is to build on our ancient history and ensure that future developments help define, protect and enhance Adel as a modern settlement in its own right known for its landscape, green spaces and gardens together with the character of its buildings. The quality of our amenities, facilities and education provision will also be major priorities which will help to strengthen our sense of community. Attendees: Ian Bond (co-chair) Nick Brown (co-chair), Christina Walsh, John Hartley, Allan Dawson, Cllr. Barry Anderson, Caroline Anderson (Secretary), Geoff Steel, Margaret Steel, Lawrence Tewfik, Francis Garbutt, Paul Pragnell, Grace Clark, David Johnson, Jeremy Emmott, Johnny Abraham, Linda Robinson, Nicky Burrows, Linda Burrows. 1. The Chairman welcomed everyone to the meeting. He explained what aspects the meeting would cover. John explained the Vision Statement, Core Objectives and Policies and asked those present if it is something they could identify with. He said that the policies will flow from the objectives. David asked how we could define the housing in Adel as it is all so different. Nick explained how the Plan would deal with this. Ian said one of the key issues is timing. Some things are out of our control. The over-arching documents steer our plan, the SHLAA and the Core Strategy. If we can get a plan agreed as policy and supported by the residents it becomes a planning document has to be taken into account by anyone wanting to develop property in Adel. Nick emphasised the timing issue and why we want ‘phasing’ to be incorporated into the plan. Ian said we would like a traffic plan for Adel which doesn’t fit with planning policy but we need to include something about speeding. Geoff Steel asked for warning remarks to be put into the plan about the pressure on the A660. Mike Dando our adviser from Planning Aid felt our highways information was valid and our position in the plan on highways issues is strong. Allan updated the Forum on a recent meeting held with Children’s Services, members of the Steering Group and Cllr. Anderson. He explained the recent proposals by the developers who want to build on the site next to the Centurion Fields site to have a school on the land nearest to the church. Planners and Children’s Services figures show sufficient capacity in the two existing primary schools. They expect that children from the west side of the A660 Otley Road will go to school at Ireland Wood. There is an idea to expand Ralph Thoresby to have a through-school. It is important to be wary of Education hijacking the Education section of the plan. Ian explained for those who were new to the group the reports that we had commissioned. The reason for the Landscape Appraisal was to get an independent view to feed into the plan. Nick explained how the Landscape Appraisal was done. We had to define the quality and value of the landscape. Nick passed the assessment round and the colour coding could be seen clearly. The Landscape Appraisal will go on the website and people should pass comments back to Ian. Cllr. Anderson reported that the Plan is due to be put in the public domain in the summer. As a community we need to say which sites we object to and which we want to see developed. Sites will appear as either green or red, there will be no amber as there was previously. Ian asked whether the developers had appealed the refusal for the PAS land at Church Lane. Cllr. Anderson said no appeal had come in yet. Ian explained what the application was about. The Forum has been consulted on it. Ian asked for comments. Cllr. Anderson read out the latest update he had received from the Planners. The upshot is that they are minded to accept the application as it addresses many of the points raised by Planners in respect of the original application. This is subject to satisfactory highways layout being addressed and the opening hours being clarified i.e. is the shop to be open 24hrs or just the petrol side. A number of views were expressed that we cannot be against every application and we must be positive where we feel something will be of benefit. Ian took a vote of the Forum on the application. There were 14 in favour, 2 against and 1 abstention. Lawrence gave an update on the financial statement. Currently there is £5788 in the account. Of that £3195 has been committed to publishing the Plan and to the Landscape Appraisal. £2593 is remaining from donations to the Fighting Fund and the Call my Wine Bluff. There is still a need for further fundraising and all ideas are welcome. Ian advised that there is still a need to find more Steering Group members. Jeremy Emmott has recently joined the Forum and will be concentrating on the footpaths in the area. We have support from Colin Harris on highways issues. Our Treasurer is having to step down due to pressure of work and therefore a new Treasurer is required. The next meeting of the Full Forum will be provisionally 15th July at 7pm.